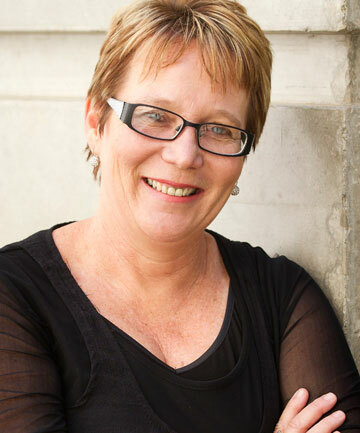 Tracey Martin, Deputy Leader, NZ First. Hon BILL ENGLISH (Deputy Prime Minister): Yes. Tracey Martin : Does he agree with the Ministry of Justice’s statement that “a factor in the decision to change the flag is whether there are net benefits in change.”; if so, what net benefits has he identified for this expenditure? Hon BILL ENGLISH : The cost of the referendum is really about involving New Zealanders in what would be a significant change for every New Zealander. It is simply not appropriate to go down the much cheaper road of the Government making a decision by itself to change the flag. But I might say that there would probably be more net benefits than some of the other referenda New Zealand has operated. For instance, back in 1997 we spent today’s equivalent of $26 million on a single referendum on compulsory superannuation, advocated by New Zealand First. Ninety-two percent of New Zealanders rejected the change, so that turned out to be a complete waste of $26 million. In respect of the flag, if you want to have a debate about the flag, then you need to do it properly. That means involving New Zealanders, and that means an expense of $25 million or whatever the number actually is. So Mr English is so casual about taxpayer’s money he doesn’t even know what the exact amount is. However his argument is a complete smokescreen. Polls on the issue demonstrate that nobody expressed any urgent need for flag change. It was all brought to the table by John Key, seeking some kind of validation for his time as PM. The entire amount is being spent unnecessarily. Tracey missed a couple of important points. Its not only a waste of money for the above reason, its also a waste because of the two referenda when the whole issue could be decided with one. It is only the order of the referenda that makes the huge expenditure necessary, whereby the first is to decide upon the alternative flag, and then the second is to decide if we change it at all. It is clear to any rational person that the referenda are the wrong way around. We could probably save $15 million or more by changing the order about. Mr English, if the memo directing the process for flag change specifies very firmly that THERE SHOULD BE NO PRESUMPTION OF CHANGE why are we holding the referendum on what flag to change to first? No matter what Bill English replies, the truth is that the referenda are being held in reverse order so that the extremely pro-change flag panel can promote the idea of change and soften up the NZ public to the idea. Once again we see a blatant violation of the specification that there should be NO PRESUMPTION OF CHANGE. Not only in the reverse order of the referenda but in the choice of panelists, the greater majority of whom are undoubtedly for the change. Good to see NZ First chasing this issue. I hope they continue to do so. It is so arrogant of John key to put the whole country to this kind of trouble, and spend almost $30 million of taxpayer money just so he can have the legacy that is so important to him, but of little importance to the voters who are paying for it. ‹ Tony Abbott closes remote aboriginal communities, another back down coming soon?